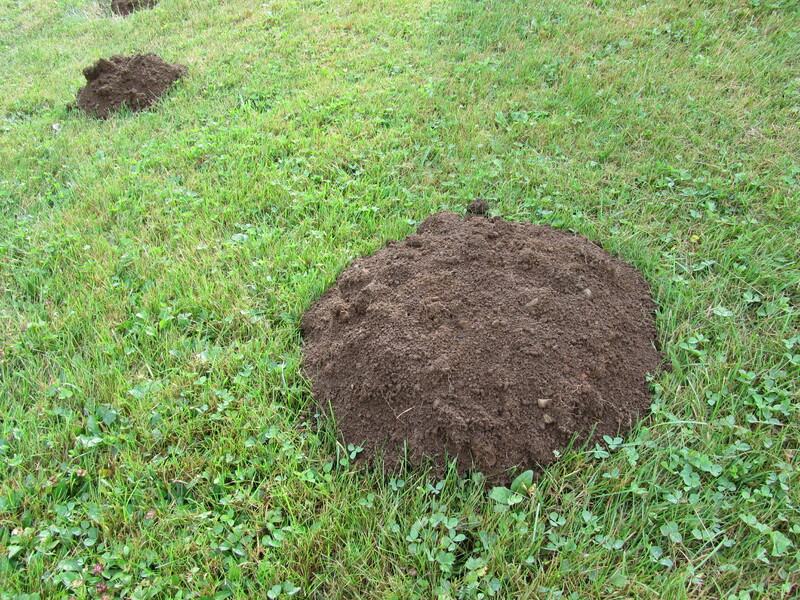 One Early morning, mole hills popped up everywhere over our back lawn. Surprise! This was the first time for us to have so many of them visiting us all at once. I immediately read up about them. Moles are mammals living underground in tunnels they dig with their big and long curved claws, pushing soil out of an opening above ground and creating a mole hill like the ones you see here. Moles have tiny eyes and ears covered by their fur. They don’t really use eyes, their sense of smell is powerful enough. They are omnivores who eat both plants and small animals. They breed in early spring, four in a litter and has a life span of between 4-6 years. That pretty much covers it. For the next week or so, the moles and I communicated with one another. I told them that the lawn area is mowed regularly which would not only disturb their home and their mole hills would be flattened. Would they please consider moving to the flat open area beyond the orchard, an undisturbed space with plenty of food for them. Well, mole hills began to pop up in the area as I’d suggested in the following days. But the moles clearly refused to cross the line to the neighbor’s yard telling me that they were gassed and forced to vacate there. That explained it. Well, welcome! And for you readers, does anyone have a mole picture for this post? Would be nice. Thanks. Nice to be friends with the moles and let them live with you.